We are barraged with an obscene amount of emails on a daily basis. Occasionally, there is a diamond among the rough—a greeting from a friend, a message from your court reporting firm—but for the most part, your emails consist of coupons, deals, and ads. It’s an overwhelming amount of junk. Unsubscribing from each and every one of them takes an unnecessarily long amount of time, so when you’re spring-cleaning your emails, consider these tools. Unroll.me instantly lets you see all of your subscriptions in an easy-to-navigate list. From there, you can select which ones you’d like to keep, and which you’d rather get rid of. If you desire, you can have all the email subscriptions you DO want delivered to you in a “Rollup” email, which arrives in your inbox once a day and contains only the emails you want. Unlistr does a little more for you. The “email productivity” program helps you select and automatically unsubscribe from all emails you don’t want to receive. It relays unsubscribe emails, processes unsubscribe links, and performs a number of other automated unsubscription tasks. Unsubscriber is by far the easiest option. 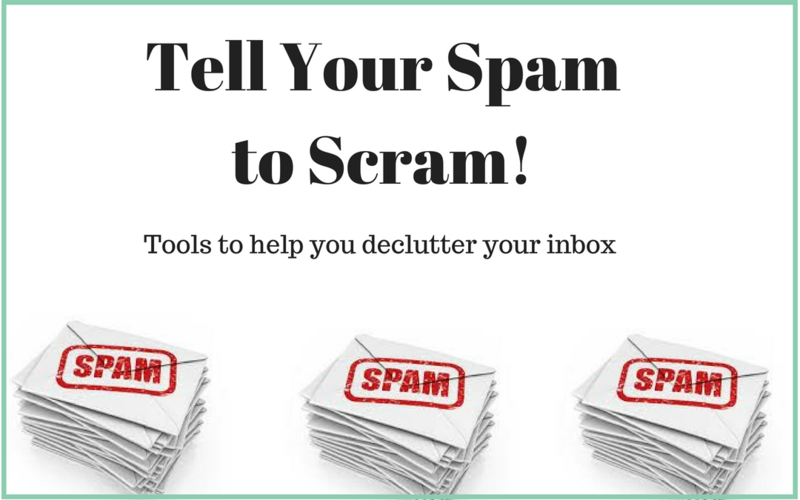 You simply drag your unwanted messages to a folder in your email, and you are unsubscribed from the emailing list. Think about which one of these services is right for you, and make your email nice and clean again!